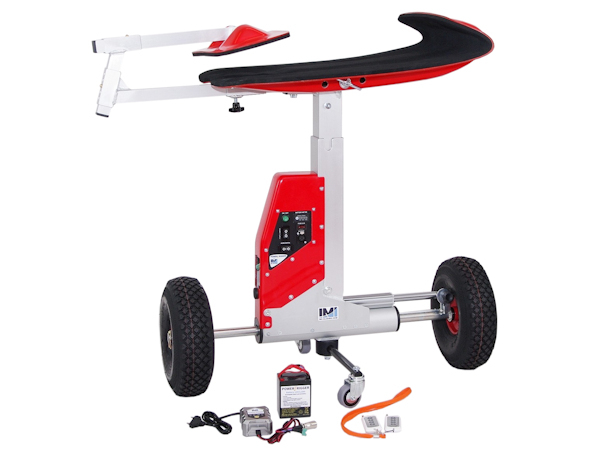 The dolly, the towbar and wing support are basic tools for competition pilots. 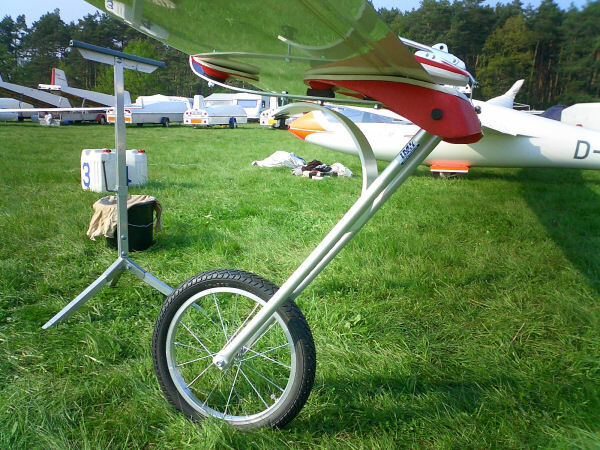 The wing dolly consists of the wing profile form, that is put together of three glass fibre contact parts and a steel band, as well as the aluminium crutch with a glass fibre spring and a 16 inch wheel. The crutch and spring dampen and bumps and the glider rolls smooth. All three glass fibre contact parts are coated with adhesive foam rubber and polyester gelcoat painted for long life. All steel parts are galvanised and all Duralumin parts are anodised to establish high corrosion resistance. The wheel dolly is put onto the wing from the leading edge and secured with a turnbuckle. 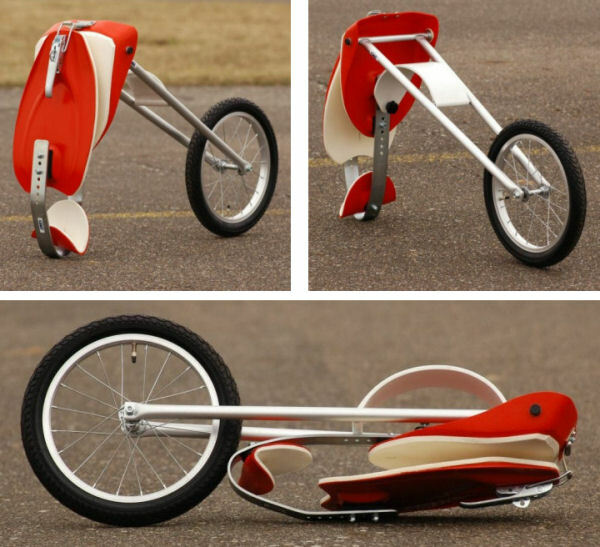 The wheel has to be adjusted to the glider before first use. 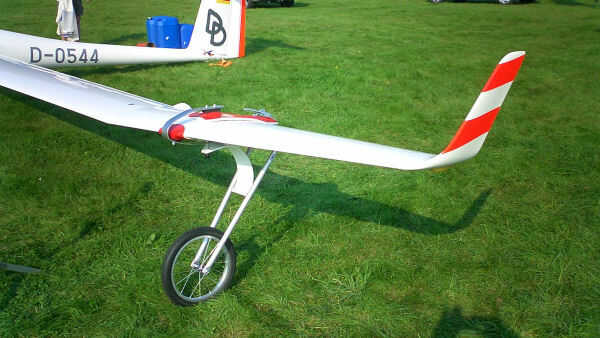 It can be set to fit 47-55cm wing depth and 9-19% of relative thickness. The package contains a set of rubber mats and pins in various lengths. It is very easy to fold the wing dolly: unfasten plastic nut, turn the spring and fold the crutch.